Another week has come and gone. How is it already August 10th? I honestly thought it was the 3rd this morning — times flies! This was an amazing week for reading with two five-star books! Let’s dive in, shall we? If you know anything about me, you probably know that I am beside myself with glee this week. Not only did I get to read the newest Wayfarers novel by Becky Chambers, one of my favourite authors, I finished up the Divine Cities trilogy by Robert Jackson Bennett, one of my other favourite authors. Both of these books were five-star reads for me, what a marvelous reading week I’ve had! Reviews are coming soon. Okay, technically I haven’t finished City of Miracles, but I’m on page 422 of 439. I literally sat on a bench outside work reading until I ran out of time. I’ll be finishing this at lunchtime, so it’s totally valid to say I read it this week, right? These books also fit in with my reading for the N.E.W.T.s Readathon! I’ve completed an ‘acceptable’ grade in Herbology with City of Miracles (a book with a green cover) and an ‘acceptable’ grade in Astronomy with Record of a Spaceborn Few (a book with stars on the cover). For those keeping track, I’ve also skipped ahead slighlty and completed by ‘excellent’ grade in Transfiguration with After the Fire by Will Hill (a ‘new to you’ author). Now I need to go back and get my ‘acceptable’ grade in Transfiguration (a book with a grey cover). Confused? You can find out more here! I’m currently reading All Systems Red, the first Murderbot novella. I started this at the end of July, but decided to hold off until August so it could count for my ‘excellent’ grade in Care for Magical Creatures (a book under 160 pages). I’m now about 30% in and absolutely loving it! My next physical book will be The Light Between Us by Katie Khan. My six-week policy for review copies is slightly strained after the huge influx of books I got over the past two months, so I’m a little behind! This book came out earlier this week, and I am so excited to read it. I adored her debut novel Hold Back the Stars! None! The YALC effect hasn’t worn off (and I am drowning in books). The kind people at Jo Fletcher Books sent me a finished copy of Foundryside, one of my most anticipated books of the year! I’ll be on the blog tour for this book on 22 August, so be sure to keep an eye out. Bennett is, in my opinion, one of the most criminally underrated fantasy authors out there. As you can see above, I’ve just finished (ahem) City of Miracles. I can’t wait to see what he comes up with in this new trilogy! Heck yes, readers! I got my paws on a digital copy of A Curse so Dark and Lonely! This is a contemporary retelling of Beauty and the Beast, and the internet is buzzing with excitement. Like all hyped books, I am going to try to read this one early in order to form my own opinion on it, but it sounds like it could be a great one! This book comes out in January 2019. That’s it for this week! I’m hoping to get some serious reading done this weekend, however it is Scottish Fiance’s birthday on Sunday! I suppose that means I’ll have to pay attention to him. How was your week in books? 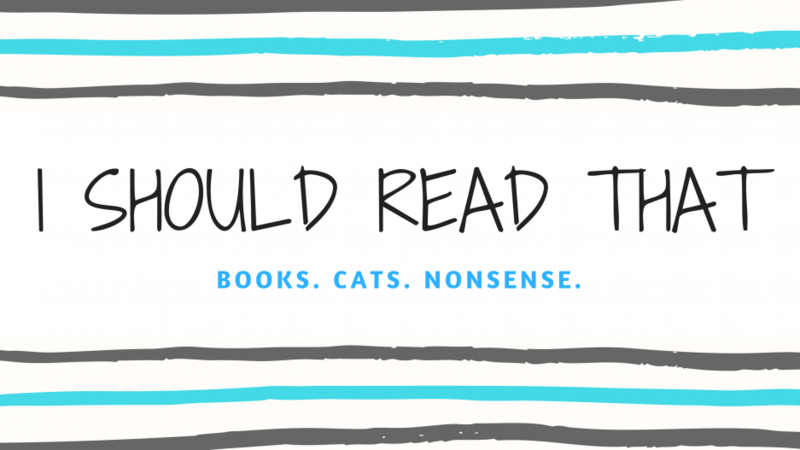 Did you read anything good? Have you bought any new books? Let me know!